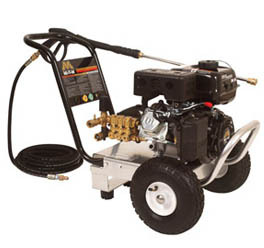 The Mi-T-M 3000 PSI gas powered pressure washer is unique for its versatility, power, and overall performance. 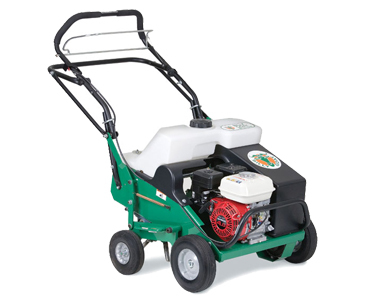 This power washer’s heavy duty steel frame holds a 13-HP Honda motor that runs a commercial grade water pump. It provides an impressive 3000 pounds of water pressure per square inch at a rate of 4 gallons per minute. 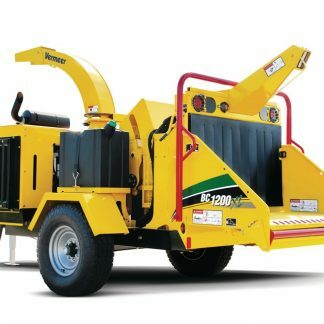 We would recommended this unit for contractors and some homeowners with a medium-to-large job. It can easily be loaded on most trucks, minivans or SUVs. 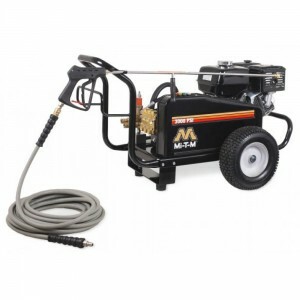 To maximize effectiveness, this power washer features 4 quick-connect nozzle tips to change the degree of pressure according to each job’s requirements. A 50-foot, 3/8-inch non-marking hose, a professional-grade insulated trigger/gun, and a 36-inch wand allow the user ideal reach and easy control. 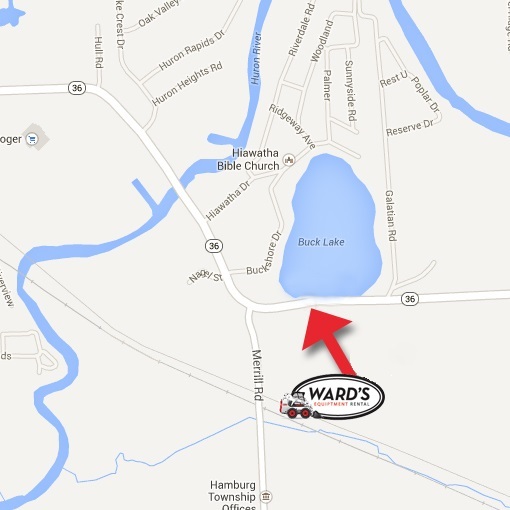 Soap, degreaser, and other detergents can be run directly through the machine with an attachable in-line injector, and these products are available at Ward’s Rental.